And this is a significant comparison bearing in mind UE4's growing importance in the market. 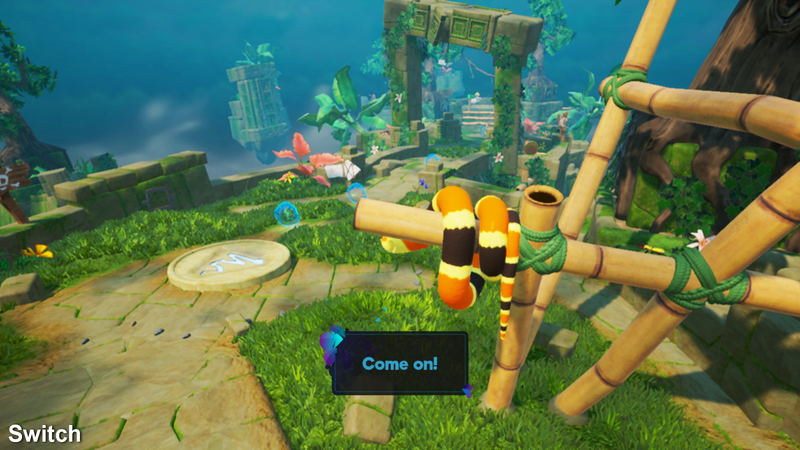 Snake Pass's visuals may be highly stylised, but that doesn't mean there isn't a lot happening below the surface - it's still an Unreal Engine game pushing rich lighting and complex interactions, after all. 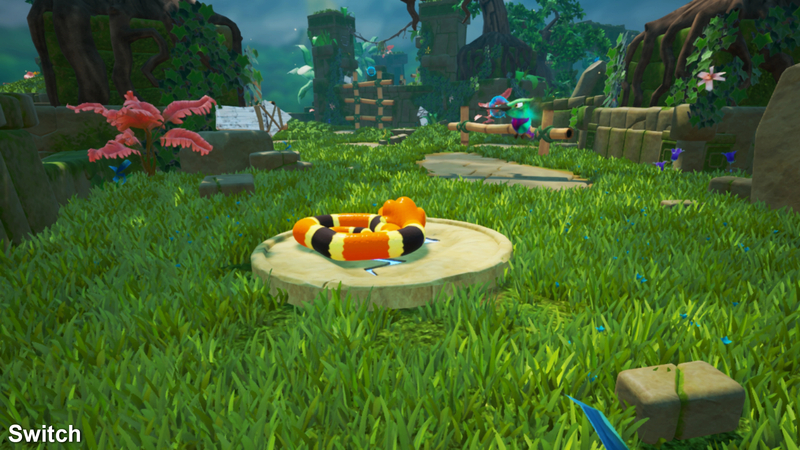 The game world is packed with thick grass, great post-processing effects and brilliant animation. Considering the hardware differences between PS4 and Switch, first impressions are positive for Nintendo's new console. There are many visible differences between the two versions but the overall look of the title is maintained very well and gameplay is not impacted that much at all. Of course, Sumo has had to tinker with the visual settings in order to bridge the gap in processing power between the two systems. 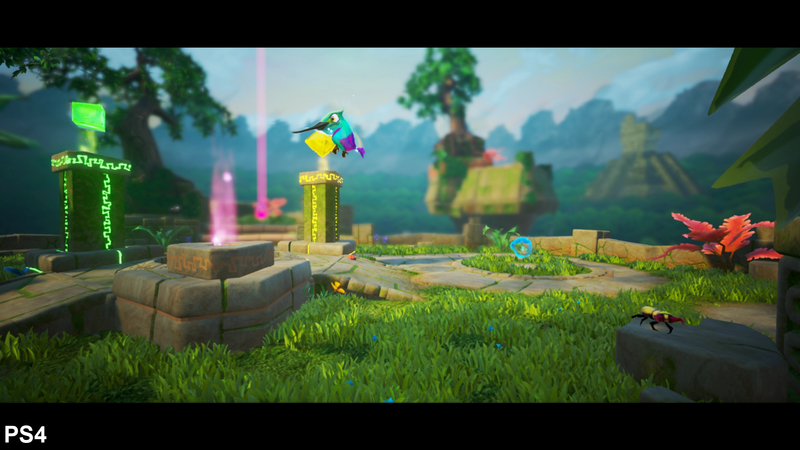 Shadow maps across each stage are handled slightly differently, while the depth of field used on PS4 is absent on Switch during the action. Grass placement varies significantly, but curiously, sometimes this actually seems to favour the Switch. Another difference is found in the water rendering - water caustics are present in some areas on PS4 but absent on the Switch version. 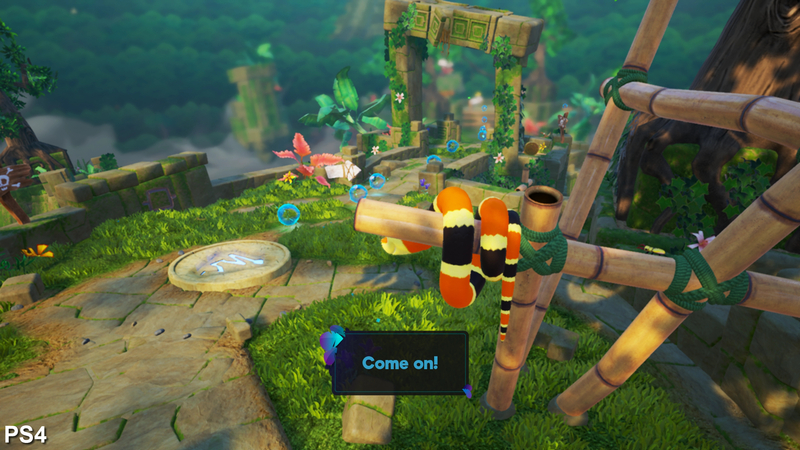 It's a nice-looking effect on the Sony platform so it's a little disappointing to see this removed on the Nintendo console but it's also a subtle enough effect that most users wouldn't even notice its absence without a direct comparison. Similarly, the water ripple shader is also removed, while general reflection work gets a significant downgrade. 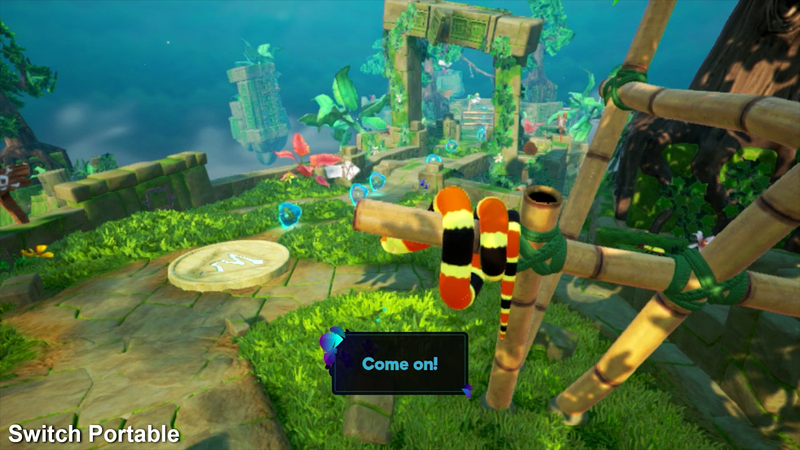 John presents an initial look at how Snake Pass on Switch compares to the PS4 version. Perhaps not surprisingly, the biggest difference comes from rendering resolution. On PlayStation 4 we're looking at 1536x864 while Switch drops all the way to 1200x675, in docked mode and something in the region of 844x475 while playing detached. While lower than expected, this works out better than you would expect due to Unreal Engine's excellent temporal anti-aliasing tech, combined with the soft materials used in the game. That's the thing to keep in mind here - a lower resolution with excellent anti-aliasing often produces a more pleasing image than a higher resolution with little or no AA. As such, the end results here really aren't bad. For those looking for higher resolution gameplay, the PS4 Pro version delivers there with two settings, one of which also offers 60fps gameplay. We'll report back on that in more detail in a later update. 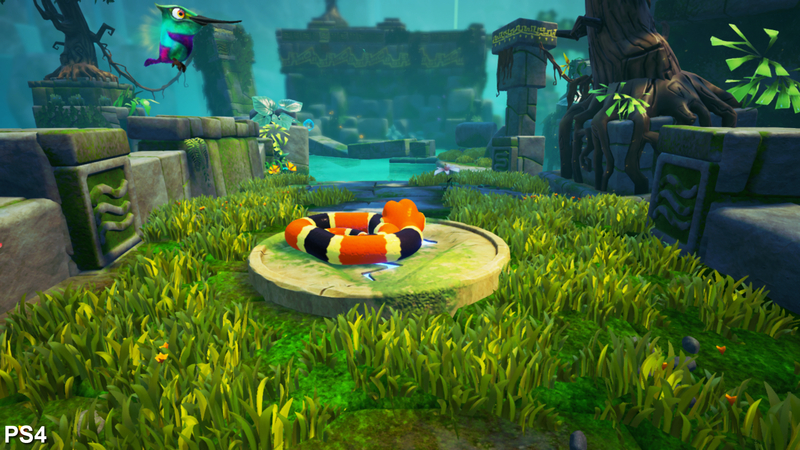 But what's fascinating about Snake Pass on Switch is its mobile implementation. We were able to do a little more analysis on the handheld mode thanks to some direct feed capture supplied by the developer. There are minor differences present here in scene detail but it compares very favorably, resolution aside. Image quality is comparable to the docked mode but it looks a lot more crisp, shrunk down on the smaller Switch screen. So when it comes to overall visual quality, the PS4 version has the edge overall, but the Switch version compares much more favorably than you'd expect in both of its configurations. The fact that an Unreal Engine game was ported so quickly over to Switch and manages to look this nice bodes well for the future of the platform, on UE4 titles at least. While we've often seen results similar to Wii U while testing many of the initial Switch titles, it's clear that the more modern architecture and improved tools support of the new system can really help make a difference. And let's not forget that UE4 isn't actually available for Wii U at all. 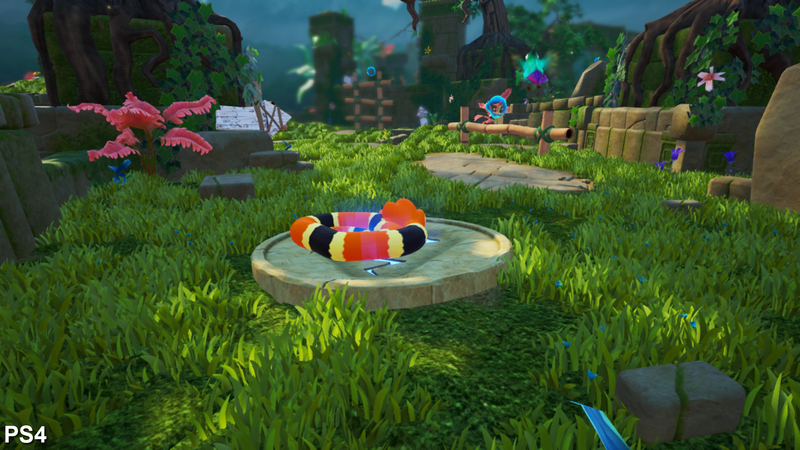 Subtle differences in lighting and post-processing are immediately evident when comparing Switch to PlayStation 4 but on the flipside, there is a reduction in grass density on PS4. There are similar differences here. 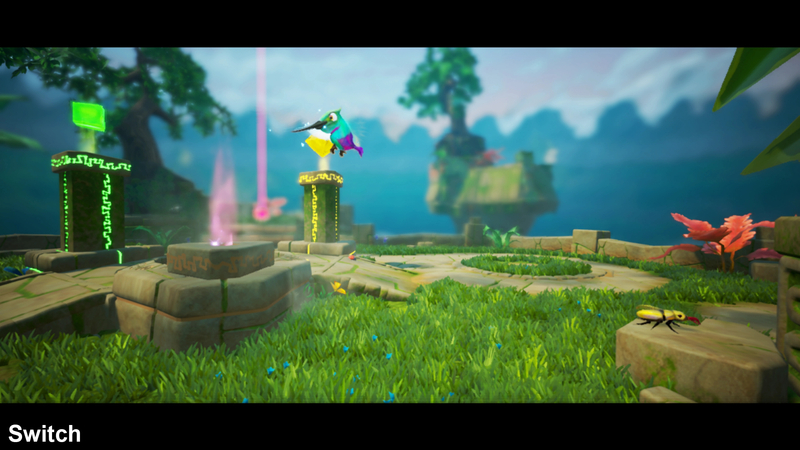 Notice the lack of depth of field applied to the world geometry on Switch. Depth of field does appear in cutscenes on all platforms, at least, but there are some changes to the distant background visuals on Switch. When comparing portable to docked mode on the Switch, there is a slight reduction in clarity and a loss of minor detail. Notice the additional pebbles in docked mode and on PS4 that have gone missing in portable mode. In terms of performance, both the Switch and PS4 versions target 30fps - and while a higher frame-rate would have been preferred (and is available for PS4 Pro owners), Sumo went for a more stable experience as opposed to a variable, unlocked performance level. As things stand, PS4 hands in a totally solid, evenly frame-paced 30fps - and initial tests suggest that we see the same thing on Xbox One. On Switch, we get the same ballpark performance level in docked mode, but poor frame-pacing is in place, leading to an occasionally less consistent experience. Thankfully it's nowhere near as frequent as the likes of Bloodborne and Dark Souls 3, but hopefully it will get patched up in a later update. A simple upgrade - using Xbox One parts. Performance in portable mode turns in results rather similar to the docked mode: we have the same 30fps target with occasional bouts of bad frame-pacing. We did notice a few sections in which performance slips below the 30fps target, but those drops are generally kept to a minimum. 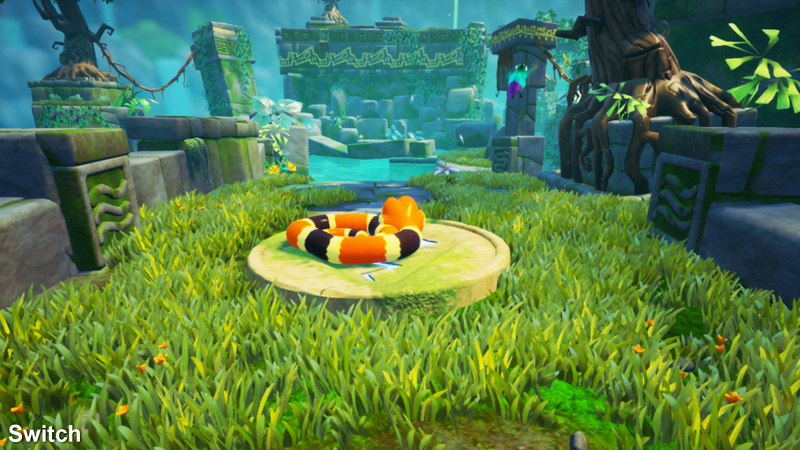 The overall sense we get is that Snake Pass runs just a hair slower in portable mode, but manages to hold reasonably close to 30fps. If the bad frame-pacing is corrected in both modes, it should feel better overall. So that's where we're at right now - the game is great fun on both Switch and PS4 but clearly some compromises are made in order to run the game effectively on Nintendo's newest hybrid console. It's impressive that those compromises were well-managed and kept to a minimum though, and it definitely gives us hope that future Unreal Engine 4 games will run well on the system. Of course, what makes the Switch version appealing is the ability to play the game on the go - and the fact that it retains so much of the visual experience is commendable. We'll be back soon with a look at the title across more systems, but if you're a Switch owner looking for new games to play, we're certainly having a lot of fun with this one.